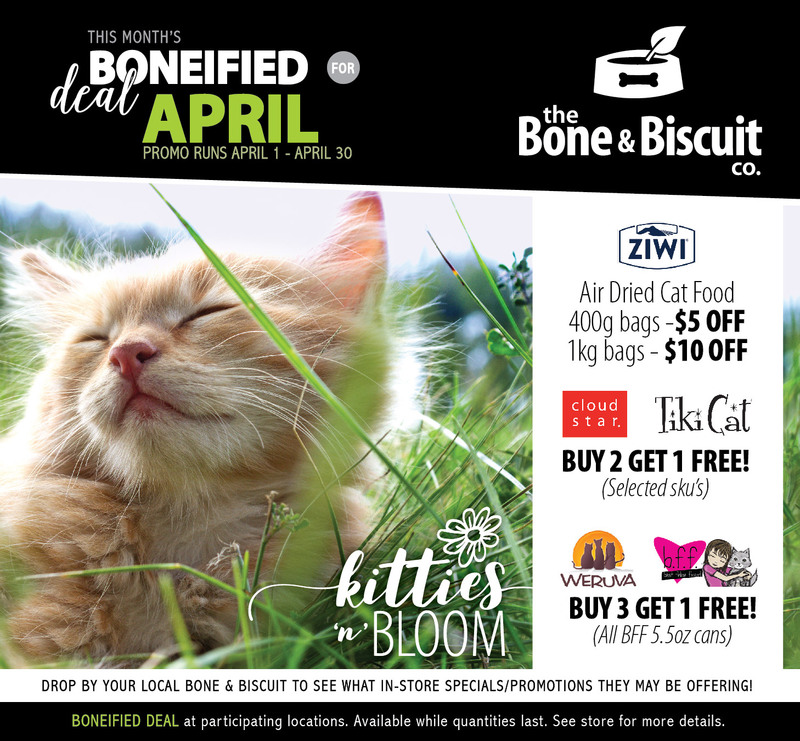 Pet Supply Store in Okotoks, AB | Bone & Biscuit Co. It is our core belief that your pet deserves the best food and care you can provide and that’s why we carry only the most trusted and proven highest quality and limited ingredient, biologically appropriate brands. We carry dry cat and dog food brands such as Orijen, Now Fresh, Acana, Go, Fromm and select others that you just wont find in your grocer’s aisles. Are you a Raw feeder or looking to convert your pet to Raw? Our selection of top-rated Raw brands is second to none and we stock the largest variety of proteins you can find. We also firmly believe that we cannot operate in a community without first being a meaningful and contributory member of it. We proudly support and donate to local charities, social programs, minor sports associations, animal rescue societies, and other non-profits.